Starting with January lessons, we are moving to a new registration system. Registration for January lessons begins Thursday, November 1. Watch your email for an important message regarding this new, user-friendly process. In the meantime, please note that registration for November/December swim lessons will remain the same. It’s little wonder that Laurie is a familiar face around the Center: she’s been a dedicated member of the Aquatics team for more than 10 years! 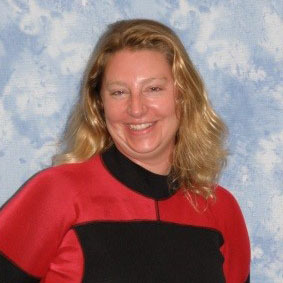 Laurie teaches both group and private lessons, with a special passion for teaching children with special needs. Not only does she help her students of all ages overcome any fear or trepidation of water, but she instills in many a newfound enthusiasm for water activities such as surfing, swimming, and water skiing. Wonder what comes after slicing through the water as a slippery Seal? The awesome Barracudas! 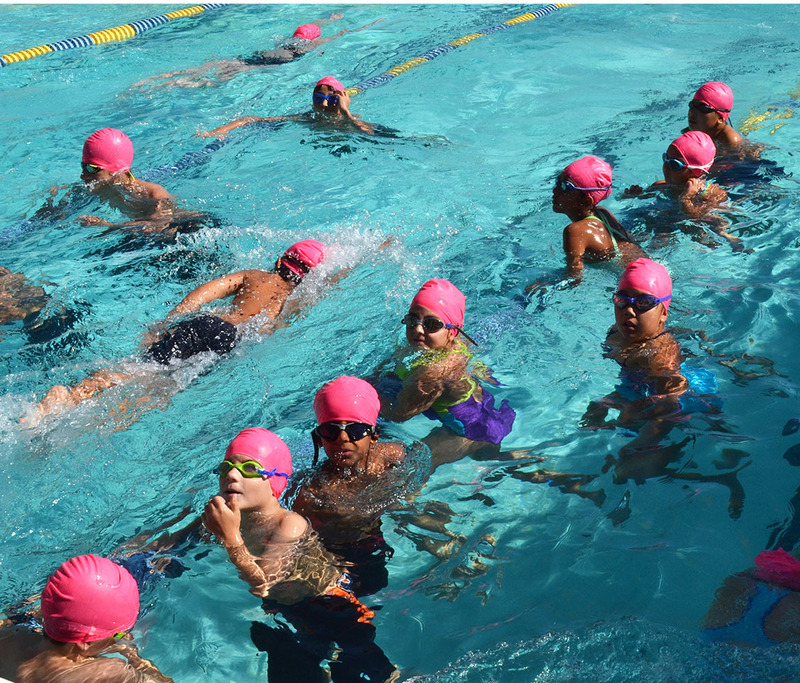 The Barracuda Swim Team practices year-round, Monday through Friday, and is a mix of both educational clinics and exciting meets. There are four levels: Bronze, Silver, Gold, and Elite. Once a child graduates from the Seals level, they are ready to try out as a Barracuda. To schedule your swim team tryout, please contact the Aquatics Office at 650.378.2782. Join us for our annual swim meet as the fearsome Barracudas take on the San Francisco Great White Sharks! This event is in support of Pink Ribbon Day, an annual fundraiser that provides postoperative workouts designed specifically for breast cancer survivors, right here at the PJCC. Make your donation today! If you haven’t yet reserved your spot in the current swim session, limited space remains for October sessions. In addition, the next Tuesday/Thursday session starts on October 2. Remember to sign up before all the spots are gone! We do not offer make up classes for missed classes. In some cases, we will honor a doctor’s note if a physician saw the child, and we will arrange for a swim lesson credit. Not sure of your class level? Our swim instructors will meet with your child in the water to assess their swim proficiency and place them in the appropriate level. Call our Aquatics Office at 650.378.2782 to schedule your free evaluation today! Interested in becoming part of the Aquatics team? We’re looking for dedicated staff to lifeguard, teach swim lessons, and coach our Barracuda youth swim team. No experience is necessary and we will provide the certification training. Positions include free PJCC Center Membership as well as additional swim lesson and Center benefits and discounts. Learn more by contacting our Aquatics Department.